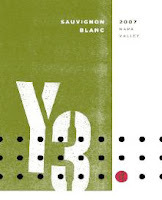 This is a nice young and fresh Sauvignon Blanc with beautiful aromas of apple, pear, fresh lime peal, and wet stones. The aromas is very vibrant and fills the room and also shocks your lungs if you breath it real deep. Kind of weird huh..... The flavors follow with tons of ripe apples, green pear, soft citrus and a great textured mouthful of honey suckle. This wine is drinking very nice and is not the regular ol' Sauv Blanc. I am often bored with most Sauvignon Blanc but this selection offers a ton of charisma! I score the wine 88+ points. i tried this for the first time on my recent trip to california and LOVED it! i thought i'd be able to buy it online but sadly, haven't found it.